Dong Won Lee appeared on Show 241, recorded in October 2011, at age 17. 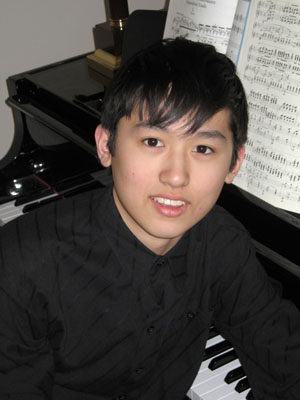 Dong Won Lee (piano), 17, resides in Redmond, Washington and attends Interlake High School. He is a recipient of From the Top’s Jack Kent Cooke Young Artist Award. Dong Won participated in a master class with David Breitman at the Oberlin Conservatory of Music and currently studies the piano with Victoria Bogdashevskaya. In his free time he loves to read novels and write in his journal. Dong Won is a Jack Kent Cooke Young Artist.